First of all, I can’t believe this sweet baby is wearing size 4 diapers already. I’m not ready for him to be so big yet! Why do they have to grow up so fast? I’m gonna need him to stay this age forever. Today I’m sharing a simple baby tip that you’re going to want to do if you have a baby or if you’re expecting a baby soon. 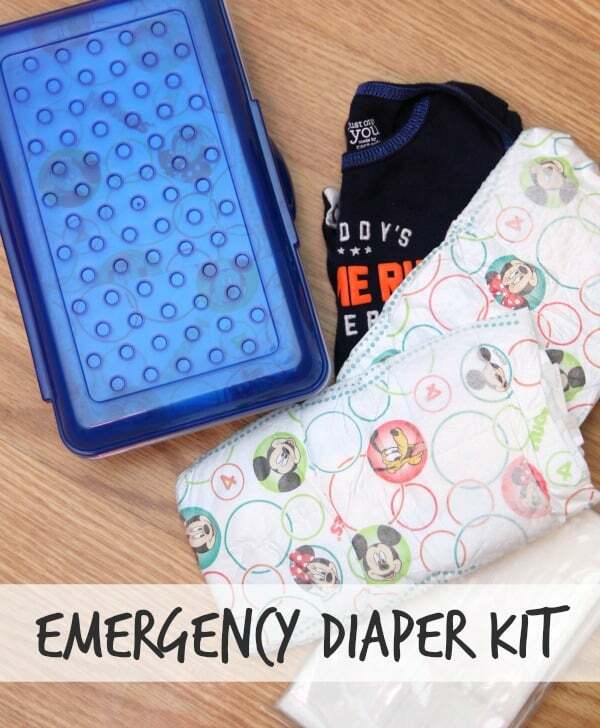 I highly recommend making Emergency Diaper Kits to keep in each car for those unexpected accidents that you know you’re going to have. I don’t know about you but I really do not like carrying around a heavy diaper bag. 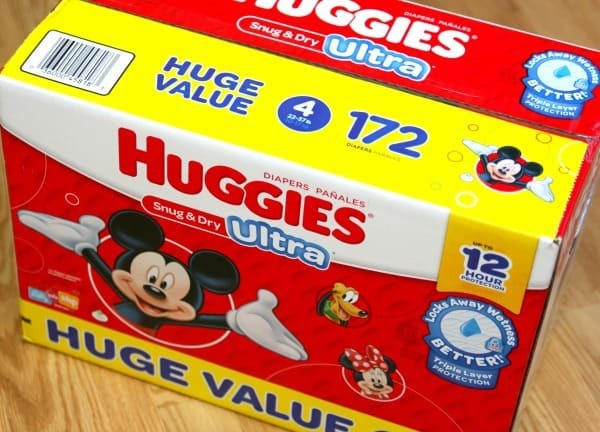 I keep a few diapers and small pack of wipes in my purse and that is it. Of course, I also take a bottle and food when we will be out for awhile but I made these emergency diaper kits to keep in each car so I don’t have to carry a lot of baby stuff with me while we’re running errands. And guess what? I put everything in a plastic pencil case that I picked up at Walmart for 97 cents. You can’t beat that! Plus, it’s small enough to store pretty much anywhere in your car. These are super easy to make and a necessity if you have a child in diapers. You can never be too prepared when it comes to kids. I put two diapers, a small ziplock bag of wipes, hand sanitizer, and an extra onesie in the plastic case. 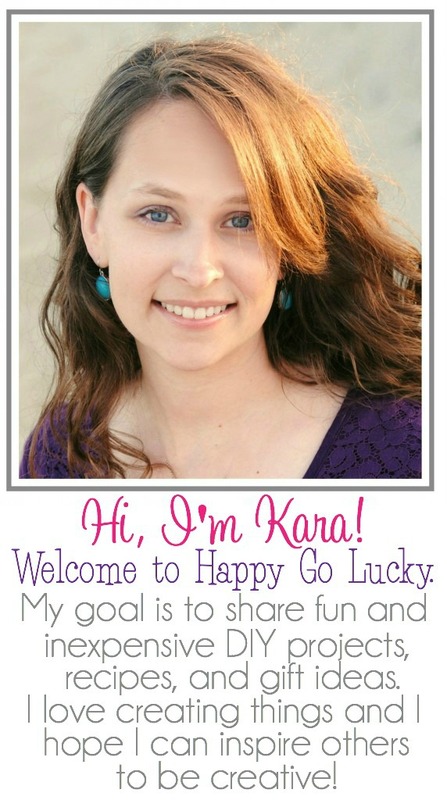 Going to a baby shower soon? This would be a great gift for new moms. 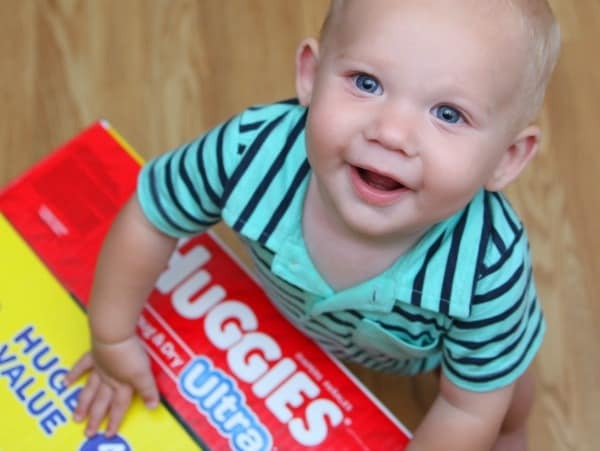 And you know I only buy Huggies®. I picked up this huge value box while shopping at my Walmart Neighborhood Market® and used this $2 off coupon because I’m all about saving money. Gotta love a good coupon! This is such a great idea!!! Why have I not thought about this sooner? !